I recently came across Mini-eco's website and have fallen in love. Kate's design esthetic is whimsical, urban chic. Her tutorials are fantastic, such as this one for 3D paper hearts. 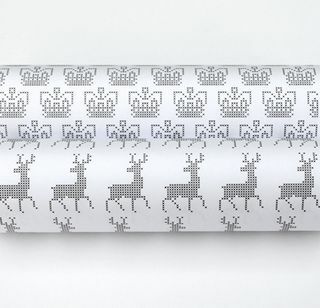 I love her printable cross stitch pattern for wrapping paper. Stitch a single motif for a key chain or ornament and then wrap it in matching paper!